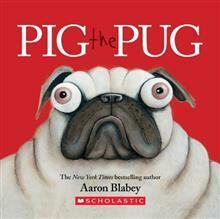 The first book in the hilarious Pig the Pug series is now in an affordable board book format, perfect for the youngest Aaron Blabey fans! Pig is a greedy and selfish Pug. He has all the bouncy balls, bones, and chew toys a dog could ever want, yet he refuses to share with his poo... read full description below. 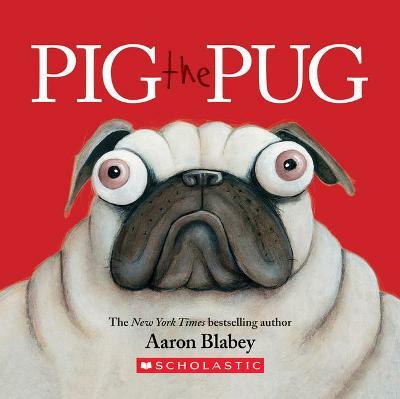 The first book in the hilarious Pig the Pug series is now in an affordable board book format, perfect for the youngest Aaron Blabey fans! Pig is a greedy and selfish Pug. He has all the bouncy balls, bones, and chew toys a dog could ever want, yet he refuses to share with his poor friend, Trevor. Little does he know, however, that being greedy has its consequences... Rich with author-illustrator Aaron Blabey's signature rhyming text and unforgettable illustrations, join Pig as he learns to share -- the hard way!